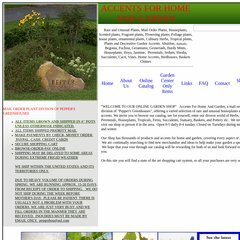 Age: The domain is 17 years and 5 months old. The site has about 37 users daily, viewing on average 2.00 pages each. It has 2 DNS records, ns2.ivenue.com, and ns1.ivenue.com. Its IP Number is 64.14.201.42. It is hosted by Ivenue.com Inc. Nevada, using Apache web server. PING www. (64.14.201.42) 56(84) bytes of data. A ping to the server is timed at 49.0 ms.